Berlin – The Romanian President Klaus Iohannis will participate on Tuesday in Aachen, in western Germany, in the ceremony for the signing of the French-German Cooperation and Integration Treaty upon the invitation of the German Chancellor Angela Merkel and of the French President Emmanuel Macron. On this occasion, President Iohannis, in his capacity as president of the country holding the incumbent presidency of the Council of the EU, will deliver a speech. The ceremony will also be attended by the president of the European Council Donald Tusk and the president of the European Commission, Jean-Claude Juncker. The Aachen bilateral treaty is based, from a political and juridical point of view, on the Elysee French-German Treaty of 1963 that set the basis for a historic reconciliation between Germany and France. The Aachen treaty will focus on adjusting the relations between the two states to the challenges of the 21st century, laying emphasis on the cohesion of the two countries’ action at European level. Council of the EU – The Romanian presidency of the Council of the EU has finalized the adoption of the first file in the field of economic and financial affairs, namely the regulations on the minimum loss coverage for non-performing exposures, the Romanian Finance Ministry officials announced. Reporting significant progress in the field of financial services is one of Romania’s priorities at the Economic and Financial Affairs Council meeting- said the Romanian finance minister Eugen Teodorovici. He met in Strasbourg with the co-rapporteurs on the file regarding the revision of the European financial surveillance system and with the members of the European Parliament’s Committee on Economic and Monetary Affairs, Pervenche Beres and Othmar Karas. The Romanian finance minister also talked with Isabelle Thomas, a member in the EP’s Committee on Budgets, about the negotiations on Multiannual Financial Framework 2021-2027.  Brussels – On Monday the Romanian FM Teodor Melescanu will participate in the meeting of the Foreign Affairs Council in Brussels. On the agenda of the meeting are topical issues such as fighting disinformation, cooperation between the EU and the League of Arab States and the relations between the EU and the Association of Southeast Asian Nations (ASEAN). According to a press release of the Romanian Foreign Ministry, during the meeting to be presided by the High Representative of the Union for Foreign Affairs and Security Policy Federica Mogherini, Minister Melescanu will present the participants the main themes in the focus of Romania’s presidency of the Council of the EU. On Tuesday he will have meetings on the same topic at the EP’s Foreign Affairs and Development Committees. High Court – The High Court of Cassation and Justice in Bucharest on Monday will hold a new hearing in the trial in which the speaker of the Chamber of Deputies and leader of the Social Democratic Party is accused of corruption. He was already sentenced in a court of the first instance to 3 years and 6 months in prison for having instigated to abuse of office. The prosecutors of the National Anti-Corruption Directorate accused Dragnea that, during his term in office as president of the Teleorman county council he ordered the fictitious hiring of two party members at the Directorate for Social Assistance and Child Protection. The two were paid from public money although they worked exclusively for the party. In 2016 Dragnea received a definitive two year suspended sentence for attempted electoral fraud.